While the two concepts are related with many of the same players involved, Agile and Scrum are not synonymous. “Agile” refers to a group of several software development frameworks that are united around a few key principles. “Scrum” is simply one of many agile development frameworks and currently the most widely used. Scrum: Scrum is a software development framework for developing and maintaining complex products that was created by Jeff Sutherland and Ken Schwaber in the early 1990’s. The name “Scrum” was inspired from a Harvard Business Review article published in 1986 titled, “The New New Product Development Game”. The official Scrum Guide™ clearly defines the roles, events and rules that makeup the Scrum framework. Agile: The term “Agile” was first introduced when the Agile Maniesto was published after a 2001 retreat in Snowbird, UT by a group of 17 software developers who were all seeking an alternative to the traditional software development process. The manifesto was an act of solidarity based around a few key principles that united the various software development frameworks the group was utilizing at the time. How are Scrum and Agile related? Jeff Sutherland and Ken Schwaber, the co-founders of Scrum, were two of the 17 members who published the Agile Manifesto. Scrum is one of many agile frameworks. The business of new product development was booming. Companies began viewing speed-to-market and the ability to quickly adapt to market conditions as essentials to survive and thrive in this new fast-paced environment. Some companies adapted better than others. 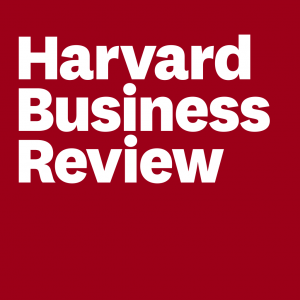 Hirotaka Takeuchi and Ikujiro Nonaka, two influential Japanese researchers in the management/business field, published the “New New Product Development Game” in the Harvard Business Review in 1986. The article examined a mixture of Japanese and US companies and analyzed a selection of their most successful new product launches based on market impact, novelty of new features and degree of innovation in the product’s development process. The two former colleagues at Hitotsubashi University scrutinized and compared the project teams that produced innovative products like Canon’s AE-1 SLR Camera (1976) and Honda’s City car w/ 1200cc engine (1981) and noticed a few key characteristics shared by some of the leading companies that differed from the traditional (or Waterfall model) approach for developing new products. Their research compared the traditional approach to a “relay race” where the new product passed sequentially like a baton from one phase to the next: conception, design, development, testing and production. Each project phase had its own separate skill specialists largely isolated from specialists in the other phases. In the traditional approach, the product group would operate independently in the design phase to generate new design ideas. When the designs were complete, the engineers would operate independently to implement those designs. Other specialists would operate in their area of expertise and designated phases allowing the product to pass sequentially from phase to phase just like a relay team. The new approach was different. Companies were utilizing cross-functional teams with all of the skills necessary to take a new product from conception to production. With all of the required skills now on the project team, the need for products to pass sequentially from one phase to the next was eliminated resulting in “overlapping project phases” reducing unnecessary wait time often encountered between project phases. In the new approach, individuals were less micromanaged than before and allowed to “self-organize”. Teams were given broad goals, autonomy to make decisions and the flexibility to change course when needed. They would often stay intact throughout the entire project working closely together in each phase. The two, now influential business thinkers, compared the project team in the new approach to a “rugby scrum” – a tight-knit, cross-functional team having all of the necessary skills to guide a new product’s evolution from start to finish. 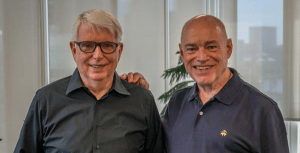 Though there may be some debate, Jeff Sutherland and Ken Schwaber were inspired by the 1986 HBR article and began their mission to utilize the presented ideas for developing complex products into a process for developing complex software. Sutherland and Schwaber, both software developers, publicly presented these ideas at the 1995 OOPSLA conference in Austin, TX. They would call the process “Scrum”. Scrum grew with the steady commercial growth of the Internet throughout the 1990’s, but it was not the only alternative being explored to replace the old approach. Many other “lightweight” methods used for managing software development like Extreme Programming (XP) had emerged as well and were being utilized as alternatives to the traditional “relay race” approach. In the spring of 2000, a software development retreat brought together various leaders in the XP community and others utilizing alternative “lightweight” methods. The follow-up meeting would take place in February 2001 in Snowbird, UT. 17 software developers utilizing various “lightweight” methods, including Jeff Sutherland and Ken Schwaber, came together to eat, ski and exchange ideas for improving the traditional software development process. 2010: The first version of the official Scrum Guide™ was published clearly defining the roles, events and rules that makeup the Scrum framework. Ps. I’m no historian, just write to learn. So please comment if you feel the timeline of any important events are misrepresented. Would love to hear your opinion and want to be sure I’m getting it right.